Read the full story at http://coabe.org/conference2015awardwinners.html#ismaell. 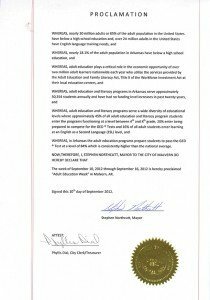 Fayetteville Public Schools Adult Education Center is taking part in the Arkansas Department of Career Education’s move ahead initiative to get adults back in the classroom. Faculty, staff, and supporters look beyond the traditional scope of adult and continued education. 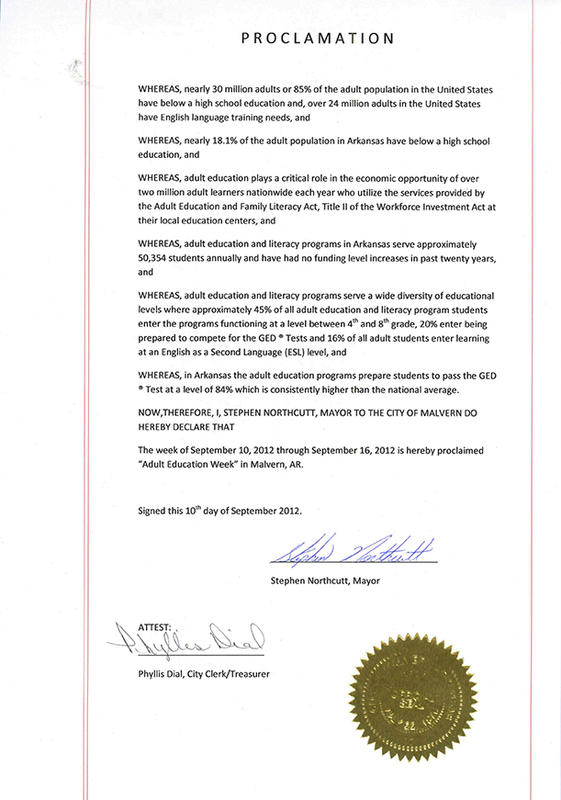 View the Adult Education Week Proclamation by Mayor Stephen Northcutt.